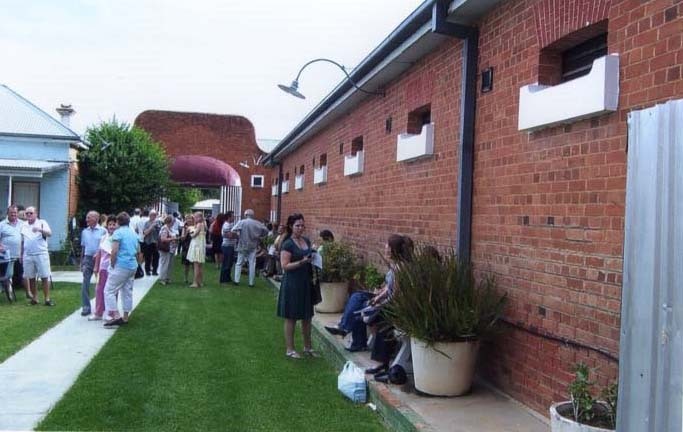 On one of my many trips to Hay in 2005, Bonney Djuric showed one of her films "Asylum" which was a "silent documentary film" based on life in institutions, this being part of her Arts Degree. 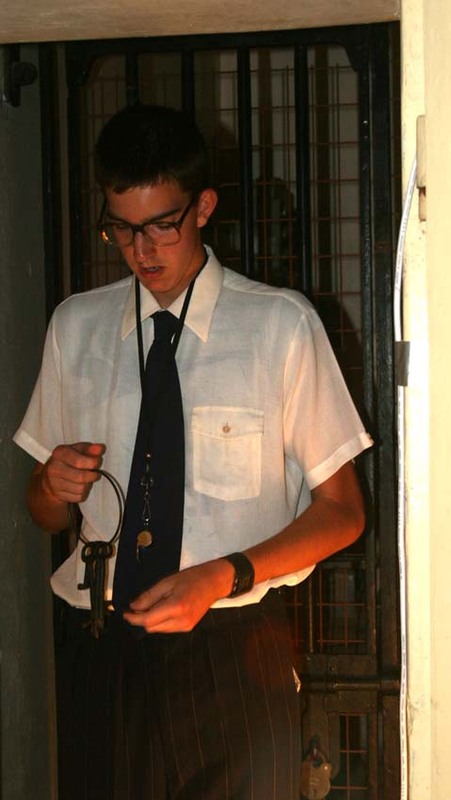 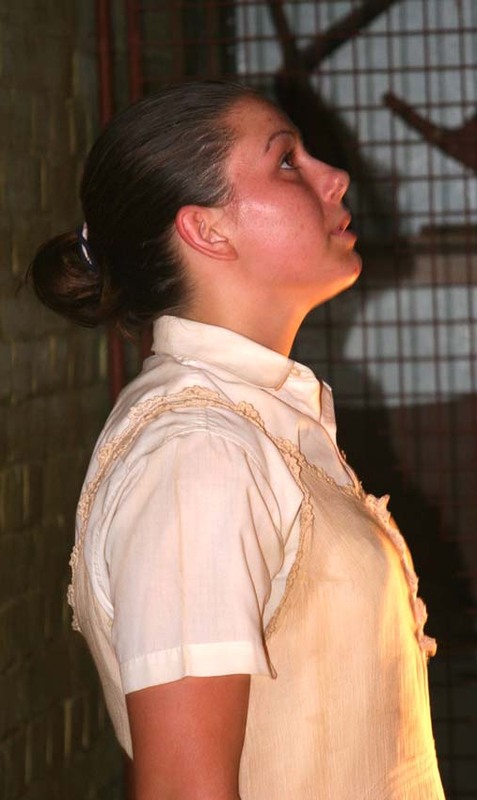 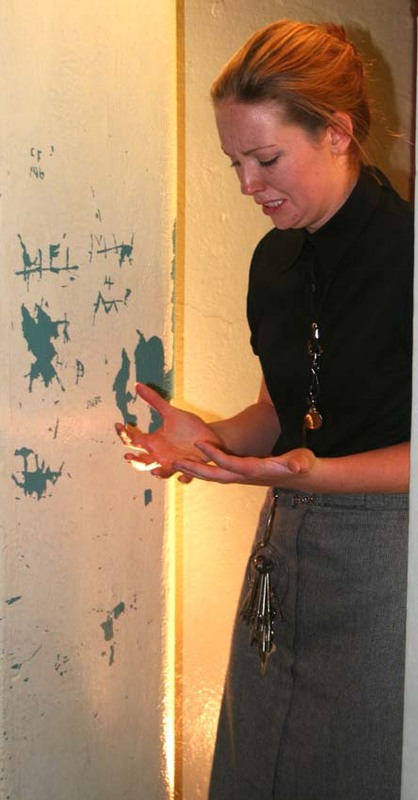 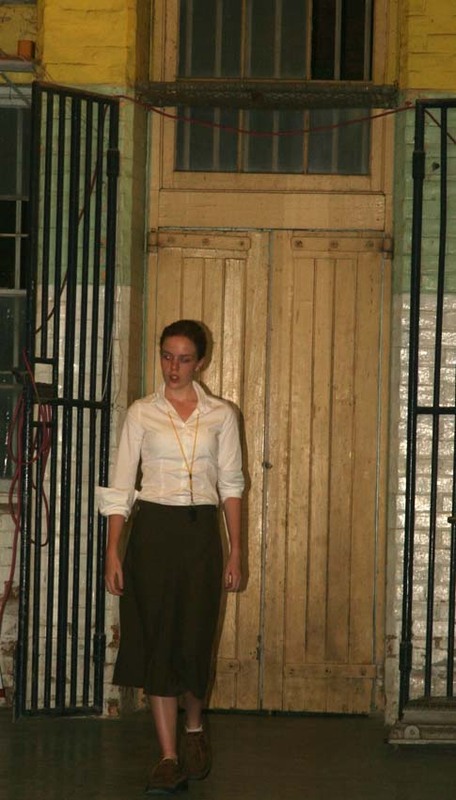 The event was open to the local community in the hall of the cell block at The Hay Gaol Museum. 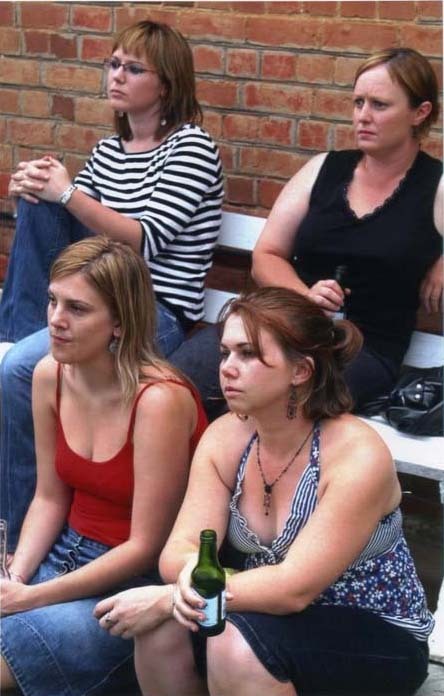 The local Community where invited and they all showed a great interest in the film, and discussion over light refreshment. 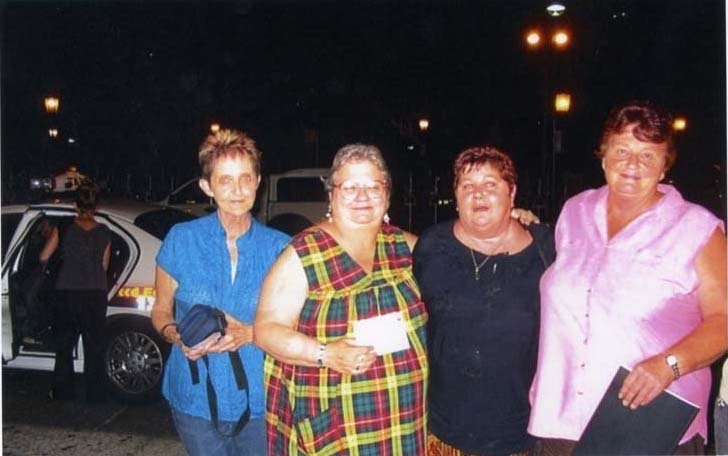 On the day there was Lynette Aitken an ex-Parramatta girl who at this time was working on her PHD on historic analysis based on treatment of (females) juvenile delinquents, and writing her thesis of which I was also contributing. 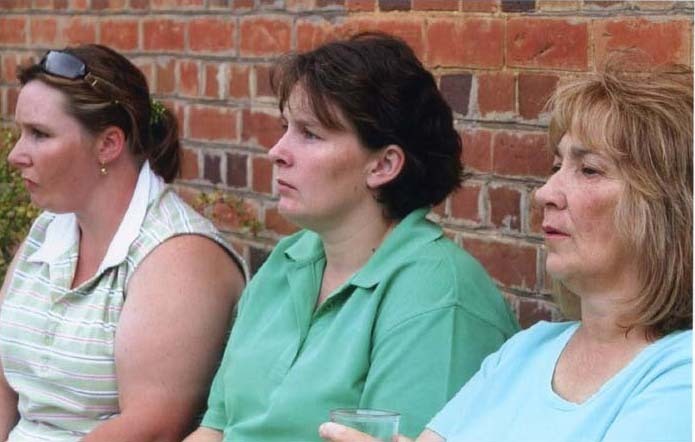 Then there was myself and two other ex-Hay girls present on the day, and we made ourselves available for any questions on the film and our experiences spent at the Hay Girls Institution, in our time there as young girls. 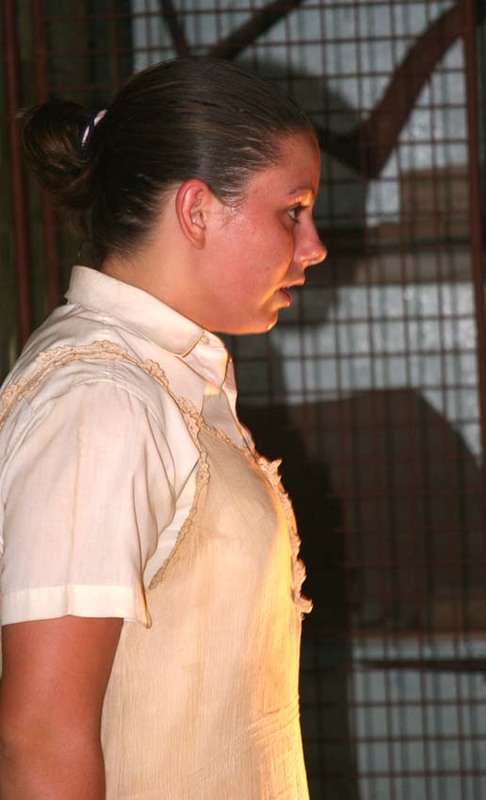 With discussion about a play being created based on the Hay girl's experiences, information was passed on to Bonney. 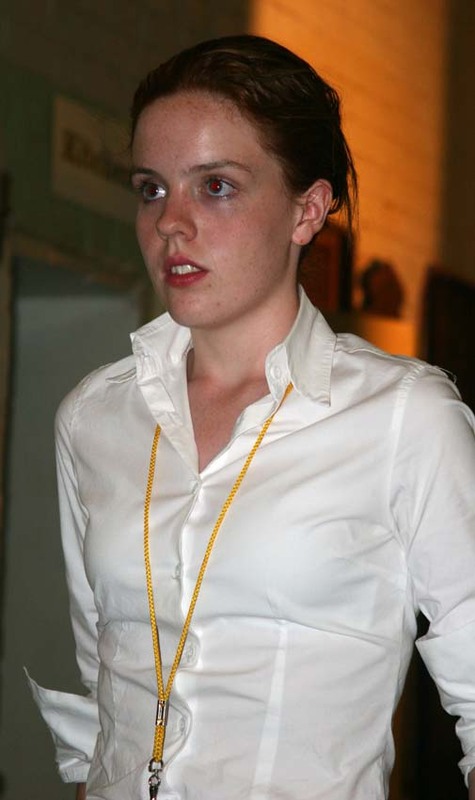 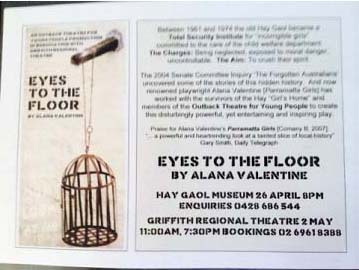 The next day Bonney made contact with the Director of "Out Back Theatre" there in Hay, to discuss the idea and left contact details of Play Writer Alana Valentine with the ending of a great event. 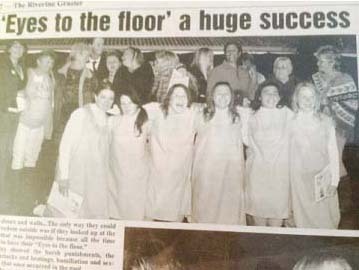 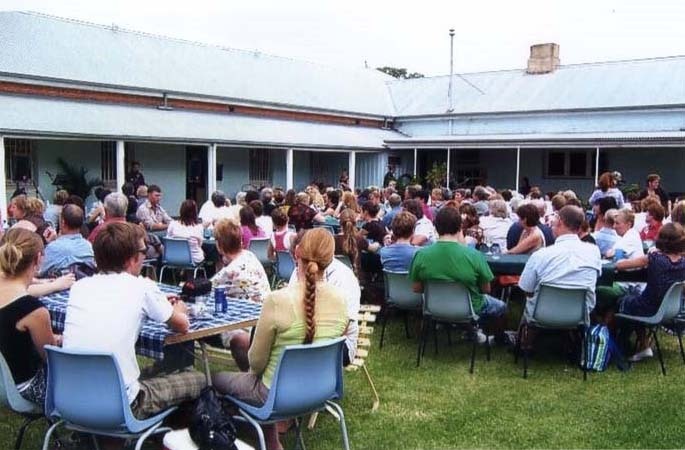 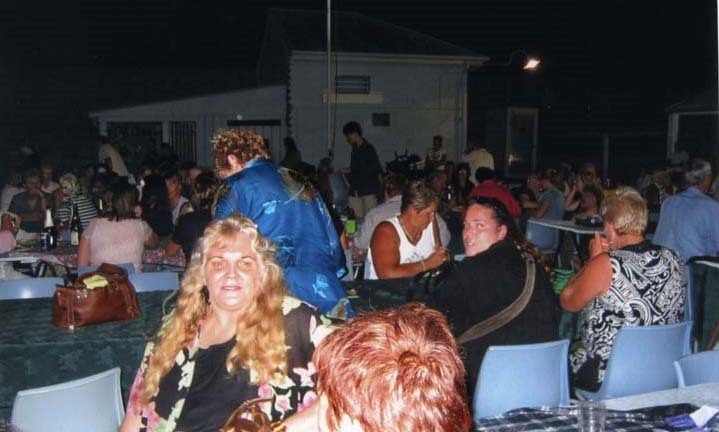 As time passed Bonney organized a Hay reunion in March 2007 with around 100 woman attending, and the start of healing for those incarcerated there as teenagers, with Senator Andrew Murray addressing all those attending the Reunion, our group and the local community. 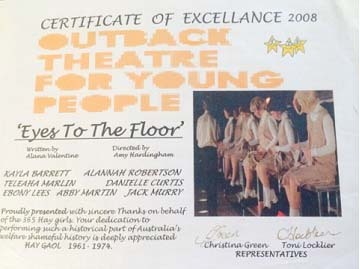 Later that weekend there was a highlight to the performance of "Eyes to the Floor" the play written especially for the Hay girls and directed by Amy Hardingham, this was something no-one would have ever imagined or anticipated but the experience was so over-whelming and a privilege to be part of and honored in this way, performed by local teenagers, who were the age we were when we were incarcerated there. 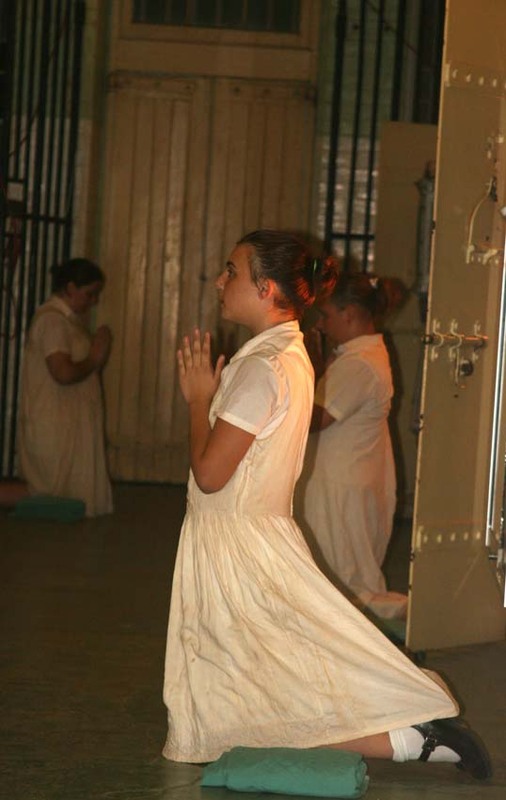 A Mind Blowing experience, so touching and moving and so many hugs and tears flowed that night in a mist of light healing rain.